Originally, your parents log into their Portals using their email address as their Login ID. They must select a password for their Login ID. There are a few ways a parent can get a Portal password. 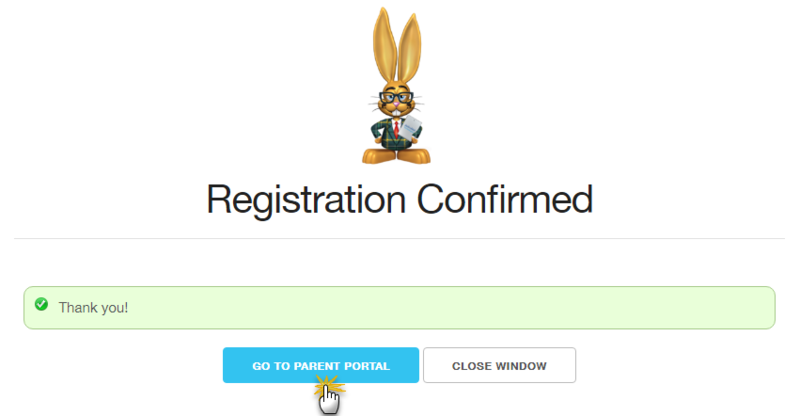 When a parent sets up their Portal account information during their initial online registration, they will be able to go directly to the Portal by clicking the Go To Parent Portal button and can log in immediately using those credentials. If they did not set this up during registration, the parent can navigate to your Parent Portal login page and click the Reset Password link. An email will immediately be sent to them with an auto-generated temporary password. The email also has a link to your Parent Portal login page so the parent can quickly navigate there and log in with their temporary password. Encourage them to change their password to something meaningful to them as soon as they log in for the first time. This can be done from Billing & Payments (or the side menu) > Account > Settings > Reset Password. 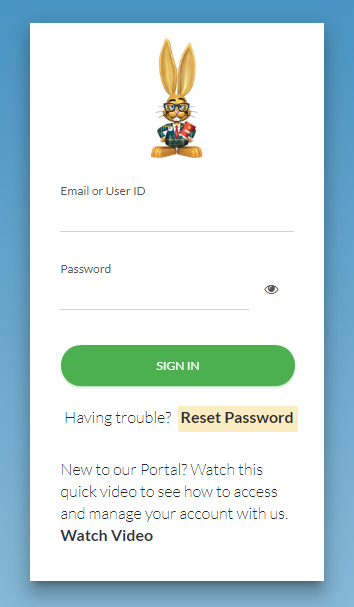 You can also use the Reset Portal Password button on a parent's Contact record to have an auto-generated temporary password emailed to them. Initially, the parent's email address is their Parent Portal Login ID. After they have logged into the Portal once using the email address on their record, the email address will be automatically entered into the Login ID field on their Contact record (this field will be blank until they login the first time). Parents have the option to change the Login ID from their email address to something they prefer once they have logged in. While in the Portal, they can change their Login ID (Billing & Payments > Account > Settings > Change Login ID) and the change will be added to the Login ID field on their Contact record in your database. We recommend parents leave the Login ID as their email address because your email address is rarely forgotten.